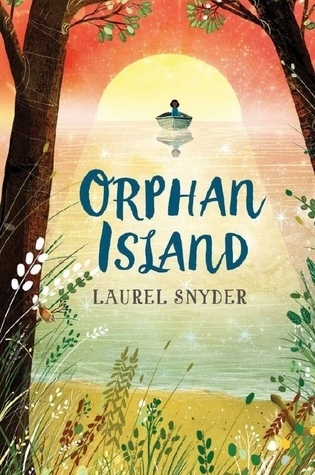 This middle grade story of nine self-sufficient orphans on a mysterious island can be read as a low key fantasy and/or an allegory of the unfettered joys of childhood and the looming responsibilities of maturity. It reminded me, in some respects of Jerry Spinelli’s Hokey Pokey but I found it way more appealing than Spinelli’s nonsense and think it could get some MG readers. Every year, a boat arrives on orphan Island carrying a very young child. The young child is taken into the care of the second oldest of the 9 residents and the oldest one gets onto the boat to embark for who knows where physically, but adulthood metaphorically. Life on the island is blissfully easy. Food is abundant, the wildlife is unharmful, it only rains at night, and even the wind throws the kids back onto land if they jump off a cliff. However, there is a strict unwritten structure and set of rules passed down from all the previous residents, which the children follow religiously (deliberate choice of word there). Jinny was heartbroken when Deen left the island, leaving her as the Elder taking care of the new girl Ess. She isn’t very good at teaching Ess what she needs to know – reading and swimming – nor is she very good at training Ben, the next in line, on how to be an Elder. Jinny doesn’t want to follow the rules and when she breaks one of the most important ones, life on the island becomes out of joint. Jinny rings true as a conflicted pre-adolescent and her relationship with her young charge, Ess, is delightfully imperfect; however, the other characters, who have a variety of different skin, hair and eye colors, are just sketched in. I found some of the metaphors a trifle heavy handed – the entrance of snakes to this garden of Eden and Jinny’s long swim away from the island – but maybe this wouldn’t be the case for the intended audience. Many questions are unanswered who sends them to the island? What do they go back to? who set up this home? are they really orphans? – but the ending, bringing the story full circle, feels complete. This first in the DC Icons series, which pairs superheroes with high profile authors, is a stirring action-packed origin story for Diana Prince aka Wonder Woman (though that name is never used in the novel except for the title) that will appeal to both existing fans and novices. 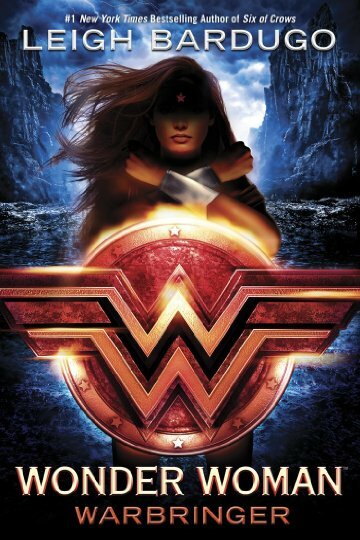 Amazonian princess Diana wants to prove herself to her mother Hippolyta but succeeds only in bringing trouble to their home island of Themyscira when she rescues a young mortal woman, brown skinned Alia, from a shipwreck. But Alia is a Warbringer, so Diana sets out with her to rid her of this cursed power. Initially slow and rather wordy, the pace picks up once Diana and Alia are back in the “World of Man” and Diana experiences modern life for the first time and they embark on their quest battling those, both mortal and immortal, who don’t want them to succeed. Told alternately from Diana’s and Alia’s points of view, the reader gets to see their similarities as children of great people who have tried to keep them safe by pushing them to the background, and they both have guts, grit, and integrity as they battle on. Their companions and comic relief, dark brown skinned Theo and Indian American Nim, also show true heroism and ingenuity when called upon. This being a YA novel, there is a hint of romance as Diana and Alia’s brother, Jason, spar for the right to protect her. The story is complete, but readers are likely to want further girl power sequels. With recent interest in this superhero and with a cast of multicultural characters, this is a must have title for all libraries with YA readers. Next up in the series is Batman: Nightwalker by Marie Lu in January 2018. Matt and Tabby have been friends forever, but as they start high school Matt is hiding that he is in love with her, though she does not reciprocate. In fact, she starts dating handsome senior Luke, star athlete and all round nice guy so Matt puts himself in a self-imposed competition with Luke both for Tabby and on the basketball court. When a tragedy strikes, Matt goes off the emotional rails. 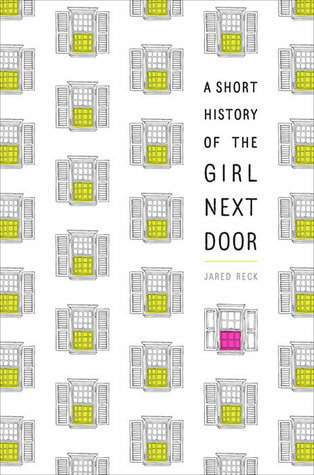 Debut author Reck is following a well-trodden path for his first novel (in fact, Kirkus notes many similarities with John Green’s Waiting for Alaska), and up until the tragedy occurs, while I was happy to read the engagingly written book, I was not finding anything out of the ordinary. It is only when Matt is plunged into grief that the book moves tentatively out of the ‘so what?’ zone. Reck has written with authority and insight into the anger that can be part of grieving; Matt is a mess but is powerless to change, though ultimately, with the intervention of his eccentric grandfather and his inspirational English teacher, Matt moves towards a gradual resolution. Matt’s narration gives the novel some character and the stylistic devices add a nice layer of trimming – Matt views things as though he’s directing a movie of his life and he makes some smart comments on modern romantic movie tropes. However, the other, all white, characters are largely undeveloped stereotypes. So not a lot to see here, but YA fans of sad stories might enjoy it. 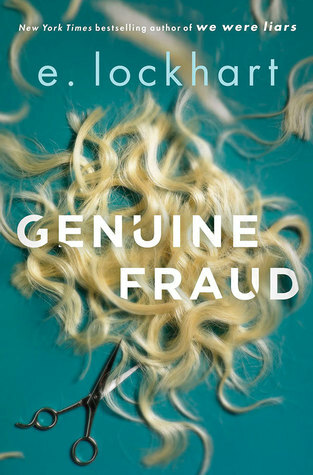 I loved both e. lockhart’s previous novels The Disreputable History of Frankie Landau-Banks (2009) and We Were Liars (2014), (though I read them both before I began blogging so no reviews to link to) so I was thrilled to receive a review copy of her latest, Genuine Fraud and I LOVED this one too! Jule West Williams is the enigma at the heart of this riveting thriller that opens with the police tracking her down in Mexico and then moves backward to peel away the layers of how Jule got there. She is an amoral heroine who likens herself to Jason Bourne, James Bond, and “a lone vigilante, a superhero in repose.” Though she is opportunistic, a fluent liar, and without scruples, Jule is still a somewhat sympathetic character, though she herself would not care too much about that. Her identity is fluid, both in terms of the disguises she dons and more deeply: “She could feel the stories she told herself and the stories she told others shifting around, overlapping, changing shades.” The supporting characters are much less developed because Jule only sees others in relation to herself and what they can do for her. The narrative is driven by the mystery of who Jule really is and what she has done and lockhart acknowledges its debt to Patricia Highsmith’s The Talented Mr Ripley. The prose is hardboiled, cool, and a little detached and overtly conjures up modern day movie tropes as well as using more subtle imagery of femme fatales from film noir. The author plays with gender stereotypes showing Jule taking advantage of the assumption that “small, cute women were harmless” as she happily acknowledges that “to be a physically powerful women – it was something. You could go anywhere, do anything, if you were difficult to hurt.” The only chink in her armor is when she starts to fall for Paolo, but she has already booby trapped that relationship before it even starts. At the end, Jule is triumphant: “I am the center of the story now… I don’t have to weigh very little, wear very little, or have my teeth fixed.” Ideal for teen readers who don’t want soft and cuddly and who appreciate a young woman who has no hesitation in grabbing what she wants.